Are you looking to buy a new house or remodel some of the rooms in your current one? Make sure you have a great bedroom space. The bedroom is one of the most important rooms in the house. You spend almost a third of your life sleeping. Your bedroom should be a place where you find yourself comfortable and where you get the perfect amount of sleep, so you wake up every morning ready to take on the day. No need to spend time researching ways to create the perfect bedroom. 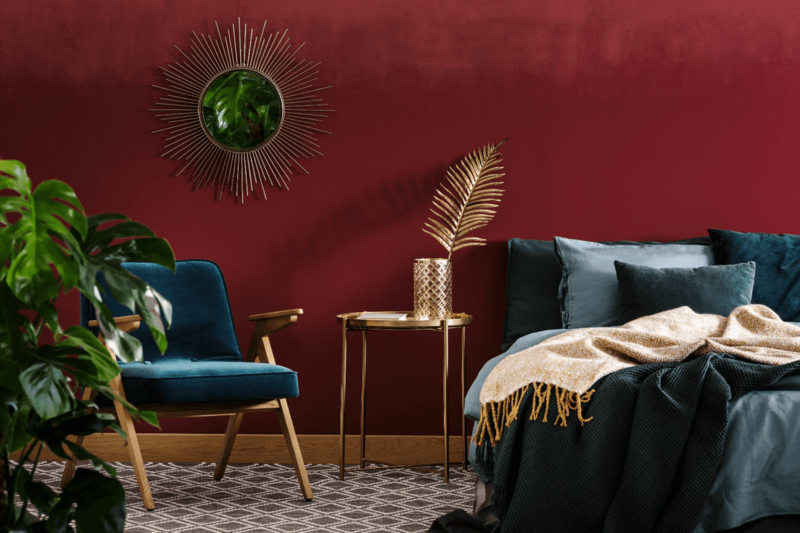 Below, we provide you with 5 tips on creating both a comfortable and fashionable bedroom that you’ll never want to leave. The bed is the epicenter of your bedroom. I mean, it’s not called BEDroom for nothing. Because you spend so much time sleeping, you want to invest in a top-quality bed that meets your needs. It’s important to dedicate time to testing out different beds in person. This way, you’ll know what you’re buying and you’ll face no surprises from a faulty online order. From firm beds to memory foam, finding a bed that offers the support and comfort you need will assure that you get a full night of rest. The bedding is just as important. Don’t compromise style for comfort. You can find top quality bed linens that are both soft to the touch and fashionable, and they’ll keep your room looking stylish. Look into interior design trends to help you find a look for your bedroom that suits your personality. You can spruce up your bedroom by sticking to a theme, such as earthy tones with a wooden headboard that’ll make you feel calm and secure. Adding staple furniture pieces to your bedroom allows you to express your creativity and turn your bedroom into a comfortable living space. If you want to be productive in your bedroom and stay organized, consider buying a computer desk where you can keep your laptop, files, and other office needs stored. Paired your desk with accessories, like a few succulents or a desk organizer, so your room will be organized and professional. You can also fill an empty corner with an accent chair that adds a splash of color to your room, and which can also serve as a place to sit and get ready in the morning. Decluttering is an important way to create a bedroom you’ll never want to leave. If you’re living in a small house with little space, you can find yourself feeling overwhelmed by all of your belongings. Sorting through your clothes and donating ones you don’t wear will free up closet space and give you some wiggle room to store other items. If you’re a bookworm, invest in a bookshelf that will organize your books in one place so they’re not scattered around the house. Other ways to declutter include storing shoes on shoe shelves and letting go of items that don’t serve a purpose to you anymore. Designing a room that matches your personality can be tricky at first. You don’t know where to begin, what theme or style you’re going for, or what pieces of furniture and decoration will match your vision. If you have a computer or smartphone, you can look into interior design apps that allow you to take a picture of your bedroom (or any room) and toggle through various themes and layouts for your room. Accent pieces are a great way to liven up your bedroom. Sticking to neutral colors for larger items, such as a wooden bed frame paired with a wooden desk and dresser, will keep you room looking clean and uniform. Adding a solid and neutral colored comforter to your bed will give you a timeless, modern look. Then, you can add color through your accent pieces like a patterned area rug, colorful throw pillows, or a plush ottoman that can also store items. The lighting in your room is an important feature that shouldn’t be ignored. Bringing in natural light through your windows during the day will help you sleep better at night. Blue light from fluorescent lights can decrease your melatonin levels, causing you to lie awake at night wondering why you can’t fall asleep. Investing in light bulbs that don’t emit blue light can help you fall asleep fast and wake up feeling refreshed. If you only have one small window in your bedroom, place a mirror in your room that can reflect natural light throughout! Or, place your lightbulbs in table lamps on your nightstand or your ceiling lights above your bed. Creating the perfect bedroom doesn’t have to take a lot of time or cost a lot of money. These 5 tips will help you redesign your room so you never want to leave.